The perfect addition to a Cornish Wedding Day! Cornish Tartan, in the National design made from wool material with dainty lace edging and ribbon decoration. 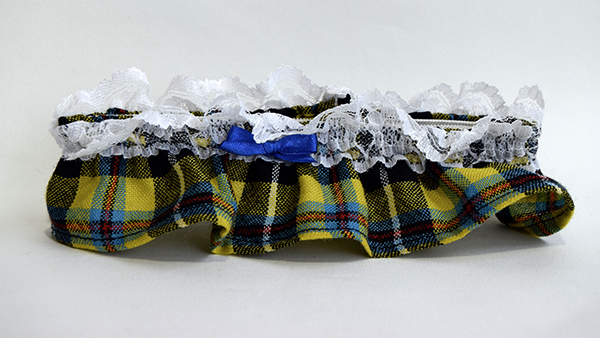 Thought to bring luck or fortune, bridal garters are said to be one of the oldest wedding traditions still around. A super little gift for her special day!